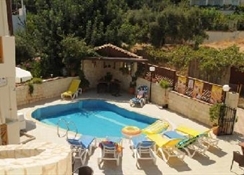 Located in Piscopiano, 2km to the south of Hersonissos, 2km from the beach and 35km from Heraklion airport. 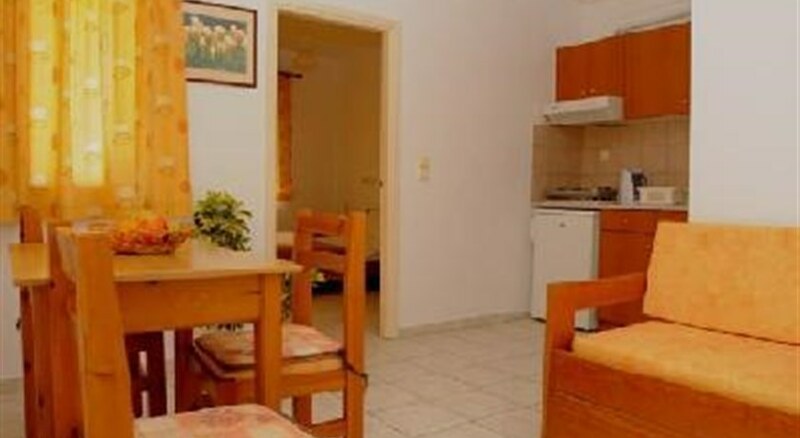 Matheos Apartments is located in a quiet side street about 400m from the centre of the village of Piskopiano. In the village are various restaurants serving a wide variety of foods ranging from international to genuine Greek meze’s. There are also a number of different bars and supermarkets for your day-to-day needs. Facilities include bar open all day for drinks and light meals including breakfast, TV in bar area, wi-fi for customers with laptops and a swimming with sunbeds and um brellas available free of charge. There are studios and one bedroom apartments with bathroom, kitchen, balcony or patio, cleaning 6 days a week and towels.